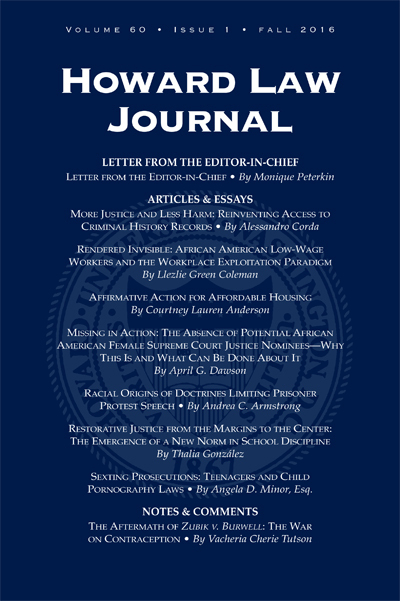 The Howard Law Journal is published three times per year in the fall, winter, and spring. All new and renewal subscriptions are entered for the complete volume year only. Each subscriber has a personally assigned ID number, which can be found on the mailing label above the address. Please refer to the ID number when making payments, claims, or address updates. You may also reach us by phone at (202) 806-8084. Thank you for your support of the Howard Law Journal.